In store financing Now available through Synchrony Bank. 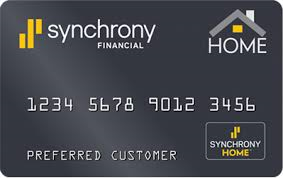 Open a new, eligible credit card issued by Synchrony Bank at this location. Make a qualifying in-store purchase of $999 or more with your new account during this promotional offer period. Get $50 back in the form of a VISA Prepaid Card by mail. Rebate form must be submitted online or by mail, postmarked by May 15, 2019. Disclosure: "Service described is a rental – or lease purchase program provided by Prog Leasing, LLC or its affiliates. The initial payment is $49.00. All remaining lease payments will be determined by the cash price of the leased item and the frequency of payments. You will not own the leased merchandise or acquire ownership rights unless you make 12 months of payments or exercise an early purchase option. Not all applicants are approved. See lease for details." We are here to help you purchase the Product you need or want today. 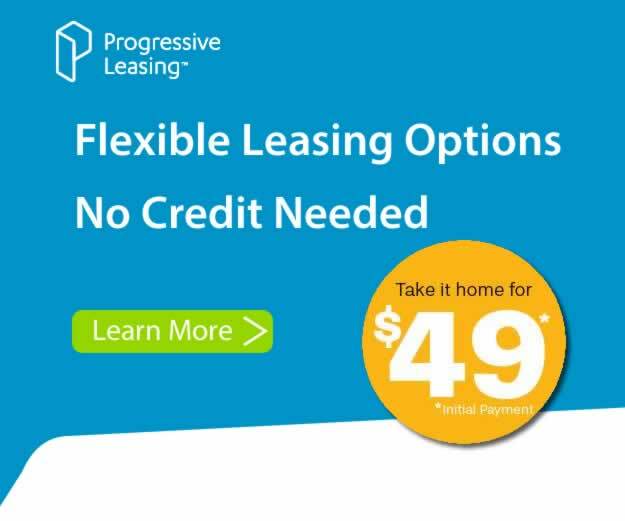 With our NO CREDIT NEEDED lease purchase option, you simply apply online or in our store and receive an instant decision. Contact us today to get started or apply online today and receive an instant decision.